Apache OpenOffice is a software bundle which contains various software tools like word processor, spreadsheet, database management, etc. 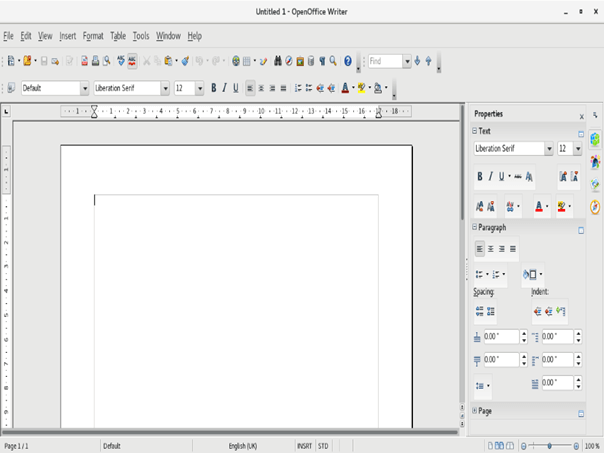 It is very much similar to other popular editors like Libreoffice and NeoOffice. It was first developed by Apache Software Foundation and released on May, 2012. 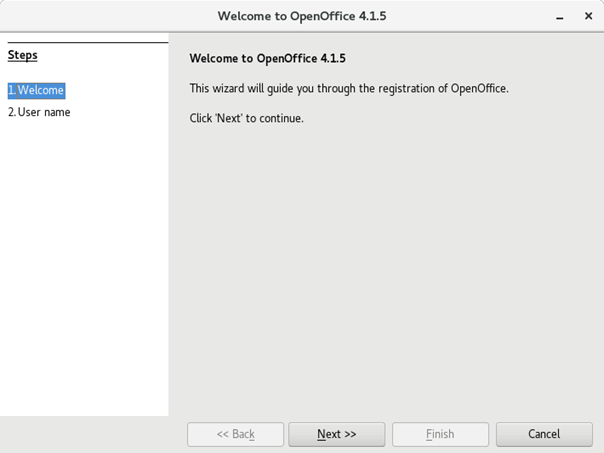 In this tutorial, we will install OpenOffice on CentOS. LibreOffice must not be installed on the system. 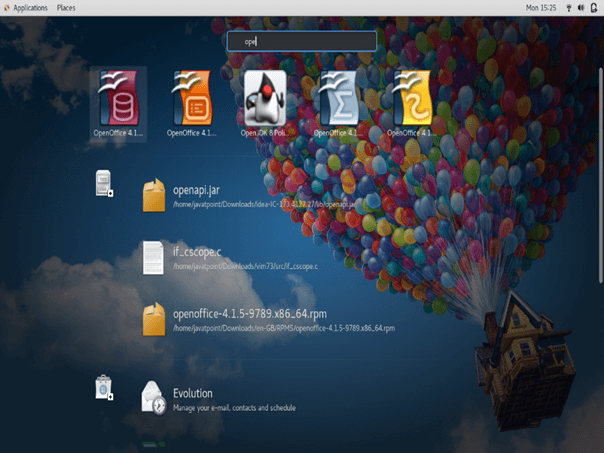 Visit the official website of OpenOffice or click the link https://sourceforge.net/projects/openofficeorg.mirror/files/4.1.5/binaries/en-GB/Apache_OpenOffice_4.1.5_Linux_x86-64_install-rpm_en-GB.tar.gz/download and download Open Office 4.1.5. 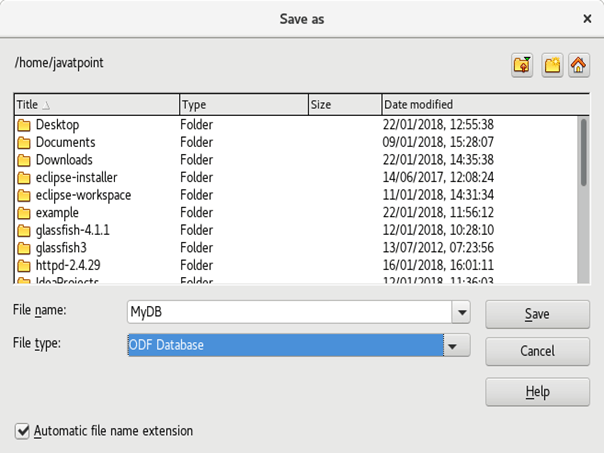 Execute the following command to extract the compressed file. 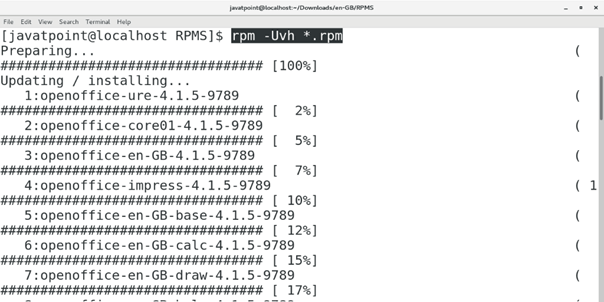 Change the current working directory to Downloads/en-GB/RPMS by typing cd Downloads/en-GB/RPMS and execute the following command to install the RPM packages present in the working directory. 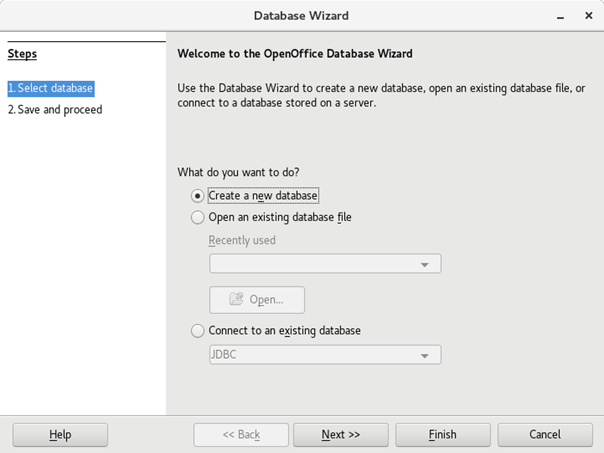 In order to access open office, we need to install the desktop integration package stored inside desktop-integration directory. Change the working directory to access the package and execute the following command. Search for open office in the Applications and double click the icon to open the Application. We can also open it by just typing soffice on the terminal. We get a welcome message of the Application. Simply click Next to proceed. Add full name and initials to the Application which will be used in the document properties. 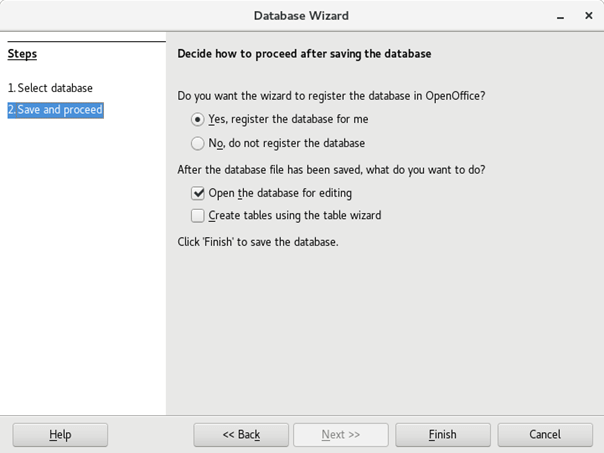 Create a new database, and click Next. Now, Application has been installed. 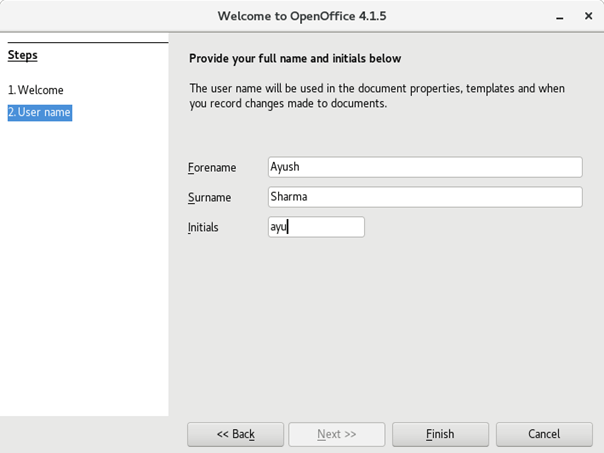 We can create new documents and spreadsheets by using openoffice.